Founded in 2000, IBASE Technology (TASDAQ: 8050) is an ISO 9001 and ISO 13485 certified company that specializes in the design and manufacturing of industrial PC products. IBASE provides OEM/ODM services tailoring products to customers’ requirements. 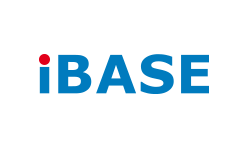 Current product offerings from IBASE include single board computers, Mini-ITX boards, Disk-Size SBC, ETX CPU modules, embedded systems and network appliance for various applications in the automation, digital signage, gaming, entertainment, medical, military and networking markets. IBASE is committed to delivering innovative, practical and dependable solutions for an ever-evolving industrial computing landscape. For more information, please visit www.ibase.com.tw.